To top it all off visitors are given the chance to party under the midnight sun or stare in awe at the Northern Lights. It’s one of our favorite countries we’ve ever traveled and for good reason. Iceland is, by all means, magical and we’re sure you’ll have a fantastic time. 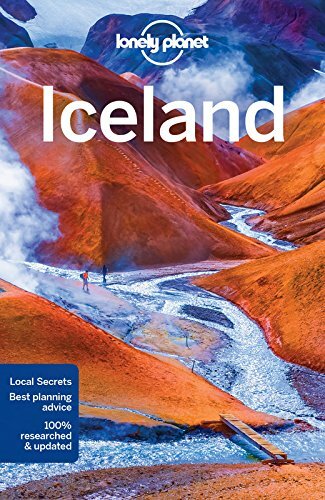 Check out our Iceland travel guide for all the tips and things to know before you visit. Visa: Schengen visa – 90 days in the European Union. Weather: Expect lots of weather! Iceland is known for having rapid shifts in weather – and sometimes surprise snow, ice, rain, and wind. The midnight sun in the summer with mild temperatures. Winter brings long nights and frigid temperatures, but beautiful snow and the chance to see the Northern Lights. For a full guide to seasons read the best time to visit Iceland. What to Pack: A great rain jacket, wool sweater, wool socks, travel camera, & down jacket. Stay Connected: We recommend Sim Cards from Vodafone. You can also opt for a TEP wireless device. 13 Tips to Survive Iceland in a Camper Van • Read This Before You Go! Hostel dorms cost between 3,500-7,500 ISK for a bed. HI members get 650 ISK off. Private rooms cost around 11,500 ISK per night for HI members, and for non-members, it is 12,500 ISK. Most of the hostels in the country are HI hostels, though KEX and Odeon in Reykjavik receive rave reviews and are not members. Hotel rooms in Iceland are expensive, private rooms with shared bathrooms can cost up to 100oo ISK or more. If you want a private bathroom be prepared to pay around 20000 ISK. With the added cost of a car rental your prices can easily reach 30000 ISK + a day for transportation and accommodation in Iceland. Our favorite way to travel around Iceland is in a campervan. Although the vehicles are expensive it covers your accommodation, kitchen, and transportation at one price – so you end up saving and can stay wherever you want (campsites). We offer a discount with one of the best campervan companies in Iceland. Any vehicle parked overnight is required to have written permission to do so. This is a way of controlling camp visitors and ensuring people aren’t parking wherever they want and ruining the environment and the land. If you’re driving a campervan or rental car you are required to stay in a campsite. Campsites cost between 1500 ISK-2500 ISK per person per night, I read that some charge only 1000 ISK, but we never found that price. In the summer months, you can pick up a “Bus Passport” with various routes offered by various companies. The most popular and largest company is Reykjavik Excursions with a Golden Circle Pass costing 47,000 ISK. Bus tickets around Reykjavik cost 350 ISK one way. The most popular bus up to Akureyri from Reykjavik costs around 8,800 ISK. You have a various amount of car rental sizes and models. Most cars in Europe come as standard, but for a higher price, you can find an automatic transmission car. Gas is around 200 ISK a liter or $8 a gallon. For a compact car, the average price is around 5500 ISK per day ($53 USD). As we said this is an awesome option for outdoor fanatics. Although the vehicles are expensive it covers your accommodation and transportation at one price – so you end up saving and can stay wherever you want (campsites). We’ve partnered with a great company and offer a discount with one of the best campervan companies in Iceland. If you’re on a budget never fear. 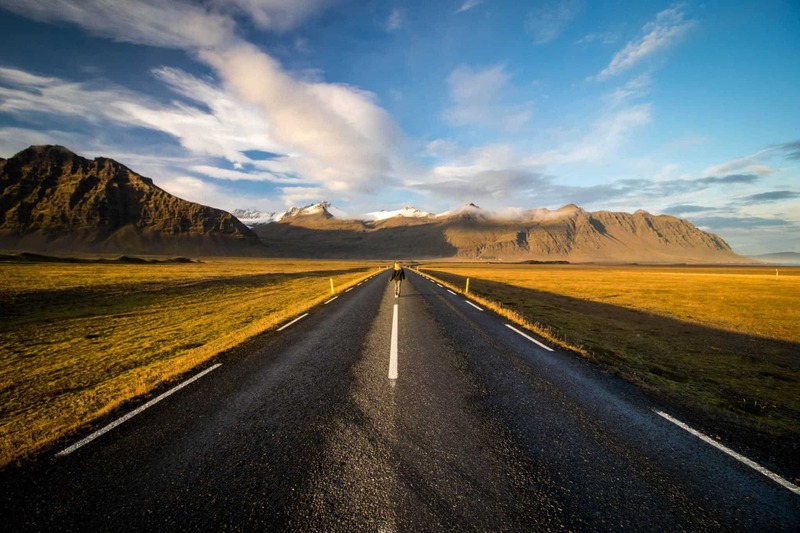 Iceland is ranked as one of the safest places in the world and hitchhiking is an incredibly popular way to travel. It’s common for young backpackers to catch rides out of Reykjavik for the day to explore the surroundings. It always helps if you offer some cash for gas, but it’s not expected. You won’t find much relief from the high prices in Iceland – even the grocery stores in Iceland come at a premium. While prices are not completely outrageous in the grocery stores they are still some of the highest food costs in the world. We did manage to eat basic meals for about 1500 ISK a day (each). If you want a detailed guide to grocery stores in Iceland check out our post. If you’re okay with eating hot dogs (we’re not) they are the cheap street food of Iceland for around 450 ISK. A white bread sandwich from a gas station costs around 650-900 ISK. A cheap meal out costs even 1,500 ISK ($15). For that price, you should expect burgers, pizza, kebabs, or soup from take away shops and gas stations. A meal at a sit-down restaurant can average around 3,500+ ISK for just the main. Appetizers, desserts, and alcohol will obviously be more. I wouldn’t expect to leave a sit-down restaurant with a meal for two for anything less than 10,000 ISK. Iceland is expensive and alcohol costs are obscene. A bottle of the budget vodka Smirnoff costs 7000 ISK. Outside of duty-free stores at the airport, you can only purchase alcohol at the state-run stores called Vinbudin. If you decide to head to a bar, a beer during happy hour ranges from 750 – 1100 ISK… Unless you have deep pockets getting drunk is probably best done somewhere else. This has to be one of the most popular things to do in Iceland. The road circumnavigates the entire island nation and hits a number of great sights along the journey. What makes the trip so popular is that it allows for visitors to see the diverse landscape of Iceland and presents a plethora of detours throughout the country. We’ve discussed our full Ring Road itinerary and share tips here! The Golden Circle in Iceland is the most popular day trip in Iceland from the tourist hub of Reykjavik. It’s a 230km route that features some of Iceland’s most stunning natural landmarks that are all on a days drive. Most tourists opt for a bus tour, but we suggest picking up a vehicle and driving the Golden Circle yourself! The route covers the three main stops of Þingvellir National Park, Geysir, and Gullfoss. You can read our guide on how to drive the Golden Circle. Book a Golden Circle tour here! You either love or hate The Blue Lagoon. It is a tourist trap and overpriced. However, for many, the chance to take their vacation photos and lounge around the gorgeous pool is too much of a draw to care. If you’re on a budget I would give the Blue Lagoon a skip and head to one of Iceland’s many public geothermal pools. The Northern Lights could be the greatest spectacle on earth. The best time to see the lights are in the winter months when the night sky is dark (October – April). They are never guaranteed and you’ll need to get to a remote location away from city lights to see them. Generally, the lights are active once a week, but you’ll need a clear night sky to see them. For those staying in Reykjavik, they do offer boat tours from the harbor that take you out to sea and away from city lights. If you want to photograph the Northern Lights you will100% need a tripod. One of the most interesting regions in Iceland. It’s a popular tourist attraction and requires a 4×4 to access. You’ll find the wild rhyolite mountains, lava field, hot springs, and Hekla volcano. The landscape looks like another planet and makes for amazing photography opportunities. This lagoon is located in the Southeast of Iceland and it is a highlight of any trip to Iceland. As the glaciers melt and slide down the mountains they’ve formed a lagoon that harbors drifting icebergs floating out to sea. It’s one of the most beautiful spots we’ve ever been. It’s the perfect spot for sunset as the sun glistens off the ice. Black beaches aren’t something seen every day. However, when touring around Iceland there are a few spots to see the dramatic black sand beaches. Reynisfjara, near Vi, is probably the most well-known black sand beach in Iceland. While you’re right there at Vatnajökull glacier (the biggest glacier in Europe) you may as well conquer it! For a challenging, yet truly amazing Iceland honeymoon, hiking Europe’s largest glacier is going to satisfy. Put on some crampons, What’s better than telling your friends back home you went ice climbing in Iceland? 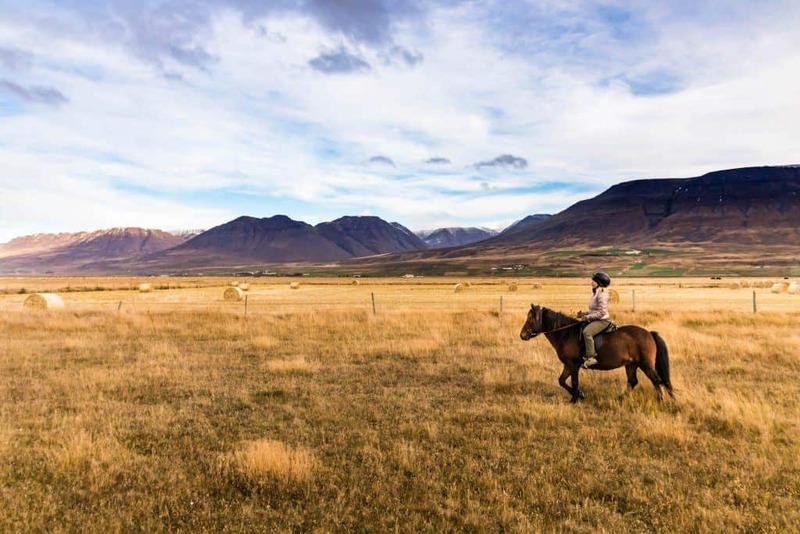 Horses are a strong part of Icelandic culture and it’s a great activity to explore Iceland’s landscape. Icelandic horses are small in comparison to other horses you may be used to, but they have a very distinctive gait style that makes riding them exceptionally smooth. The “Tölt” is one of the five gaits of an Icelandic horse and is what makes this breed so different than any other on earth. The horses are known for being well natured and strong horses, and not to mention beautiful.